Comments: The Old Apothecary Shop, located at 510 Valley Street, was built ca. 1832. 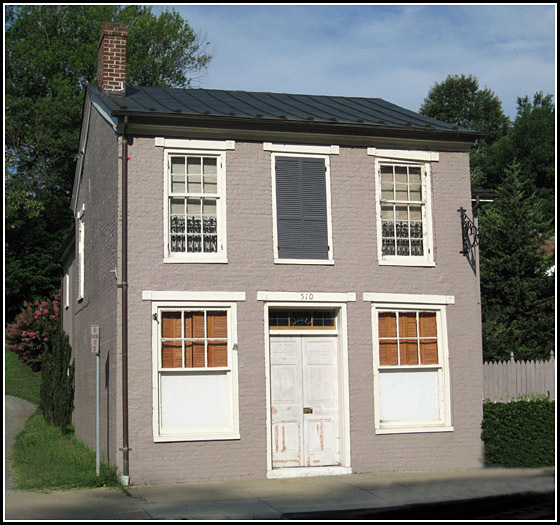 This two-story brick building served as an apothecary where town doctors prepared drugs and medicinal compounds for their patients from 1876 - 1908. That year, Dr. Luther R. Stinson and Dr. Benjamin L. Dillard, practicing physicians in Scottsville, found it inconvenient to keep their apothecary shop open as much as the public demanded. So in 1908, the two doctors hired a full-time pharmacist, named Thomas Ellison Bruce, and the Scottsville Drug Company was born. 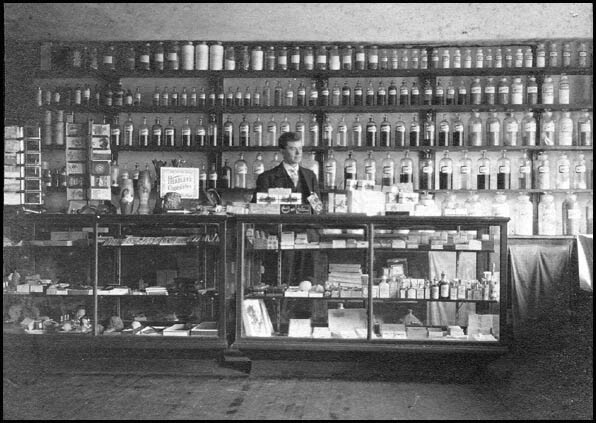 In the 1908 photo below, Mr. Bruce is shown standing behind the pharmacy counter of this drug store. The medicine bottles behind him held the medicinal supplies he used to fill prescriptions. A year later, the two doctors sold their interest in the drugstore to Bruce, who continued its operation at this location until 1911. That year Bruce moved his drug store to another building a few doors down on Valley Street and renamed it, 'Bruce's Drug Store.' In 2010, this drugstore continues its operation under the same name directly across from Scottsville Museum on Main Street.